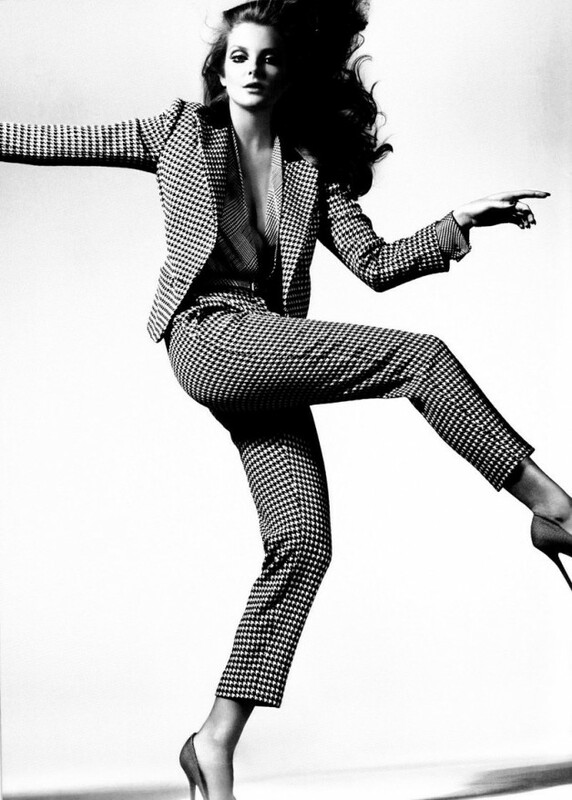 Tell me this is not a total “Jerry Hall/Halston” moment, circa ’75. I’m so nostalgic, I’m getting a Studio 54 buzz just from the proximity to this fabulous vintage-inspired editorial – featuring designs by Ferragamo, Moschino and Miu Miu. In my estimation, nothing represents the decade of decadence, like super-stylish looks infused with high-octane, adrenaline-filled fashion. Eniko Mihalik stuns in Numero’s #126 Issue, with a combination of spider-lashes & disco-waves. Images via fashiongonerogue.